FRESHLY RENOVATED 12/18! Need a relaxing get away? This updated two bedroom, two bath condo is directly across the street from the beach. Features include: a newly renovated fully equipped kitchen with all stainless appliances and beautiful granite counter tops. The living room has a new queen sofa bed, cable TV and WIFI throughout. You can rest in the master bedroom queen bed, or sneak a peek of the ocean out the twin bedroom window. Relax on the private balcony with a pool view off of living room.Not only do you have access to the community pool you also have access to the Sea Cabin laundry facility and fishing pier located across the street. Wireless internet. 980 square feet. Linens included. No smoking. No pets. We enjoyed our stay in Oceanside C311. Condo was clean and a nice size for our family. The only problem was the code that was sent to us for the door was incorrect, and the internet code was incorrect. We had to call maintenance for both. Unit was updated and clean and comfortable. Good location close to beach and restaurants. Only problem was that the internet connection kept dropping the WiFi connection and it took a week for AT&T to get a new modem installed. However the IT folks that Island Realty connected me up with kept me connected in the meantime so they did a good job. Shouldn't be a problem for future renters as new equipment was installed. Island Realty would like to thank you for such a great review. We are delighted that our maintenance staff was so helpful with getting the internet up and running for you. Island Realty does advertise that internet is not a guarantee, there are so many issues that can effect internet connections on the Isle of Palms. In this case it does seem to have been an equipment issue and I am glad that the maintenance staff was able to be of such great assistance! We look forward to the next time you come to our little slice of heaven on the Isle of Palms. Island Realty were very helpful in dealing with all of our needs. They were prompt and professional but friendly when any problem arose. Only thing that could have been better were the upgrading of the beds in the guest room. We enjoyed our stay . THE LADYS WERE EXCELLENT UPON CHECKING IN & CHECKING OUT - MAINTENANCE WAS EXCELLENT .. I LOVE ISLAND REALTY & THIS IS ALWAYS MY VACATION SPOT - LOVE THE PRIVATE FISHING PIER . During a one week vacation, we had a leaky tub faucet, constant water running toilet, and another toilet not flushing (but not clogged). Upon check in, there were crumbs on the sofa and a large stain on one comforter. Family room furniture very dated and uncomfortable. Beds were soft and the master bed's mattress pad I suppose was too small since it kept rolling up under the sheets. At the outdoor pool area, there was strong odor of rotting garbage I think coming from one of the bushes. Thank you for taking time to send us a review. Please note that whenever you arrive at an Island Realty property it is important to reach out to us so that we can help you with any issues that you encounter during your stay. We have a 24 hour housekeeping department that can help you with any cleanliness issue that you have. Please also know that the Oceanside Villas HOA is responsible for the grounds and we have reported this issue to them, so that they can address the garbage smell. Thank you again for letting us know your experience please always remember to call our office and speak to a property manager so that we can effectively deal with any and all issues you have during your stay. We had a wonderful stay at Oceanside C 311. The condo was just as described, clean located close to the beach. Pool was nice. Love Isle of Palm. Would recommend this location and isle to anyone. We had a wonderful time with our family in this condo. We were in Charleston for a dance competition but the condo was more than awesome for our activities. We have always stayed at Sea Cabins when at IOP, but we needed two bedrooms and baths this time. This was a great condo. Beds were very comfortable, plenty of room in living area to spread out. I noticed others complained about the skillets. Apparently, someone had tried to "blacken" in one and ruined it, but the others were fine, just not non-stick. We managed just fine, and the kitchen was well stocked. We would definitely stay here again. This was a nice and clean condo.. very spacious..
not much counter space in kitchen but still good. Despite the lack of view, it was in a perfect location! This property met my minimum requirements of clean, safe and affordable. It needs lots of extra hangers, the couch is not very comfortable, and the twin beds were not comfortable - they need new mattresses. Vertical blinds in living room are missing about 5 slats, so they couldn't be fully closed. The place was nice to be so close to the beach. There were some housekeeping items that could have been better: the toilet seat had hair on it and there was hair in the tub. The carpet could have been vacuumed better too. Plus there were some dirty dishes in the kitchen. Very good experience. AC did "freeze up" (not surprising with the temperatures), but was repaired in a very timely matter. Thanks. Thank you foir taking the time to send us a review. Island Realty is glad that we were able to get your AC unit up and running so quickly for you! We hope when youvisit the Isle of Palms next time youwill come back and join us at the Oceanside Villas! Island Realty is glad you had a nice time! Come back again soon! The villa was very clean and generally in good condition. The bed in the master bedroom was very uncomfortable. There was a large, thick pad on the mattress that rolled up all the time and didn't fit the mattress. The fitted sheet was too small so it rolled up during the night. It almost felt like you were going to roll out of the bed if you slept on the right side of the bed. The couch in the living room had a sinking area in the middle but was still comfortable. The rest of the villa is wonderful and very clean and quiet. Thank you for sending us a review! We are sorry that your mattress gave you trouble! Thank you for taking the time to let us know, your feedback is very valuable to us! Please always remember we here at Island Realty have a full staff fully equipped to meet all your needs when issues arise. We even have 24 hour emergency housekeeping just for reasons like this! Great location and a nice property! Love IOP! Thank you for taking the time to send us such a lovely review! We hope to see you the next time you visit the Isle of Palms! 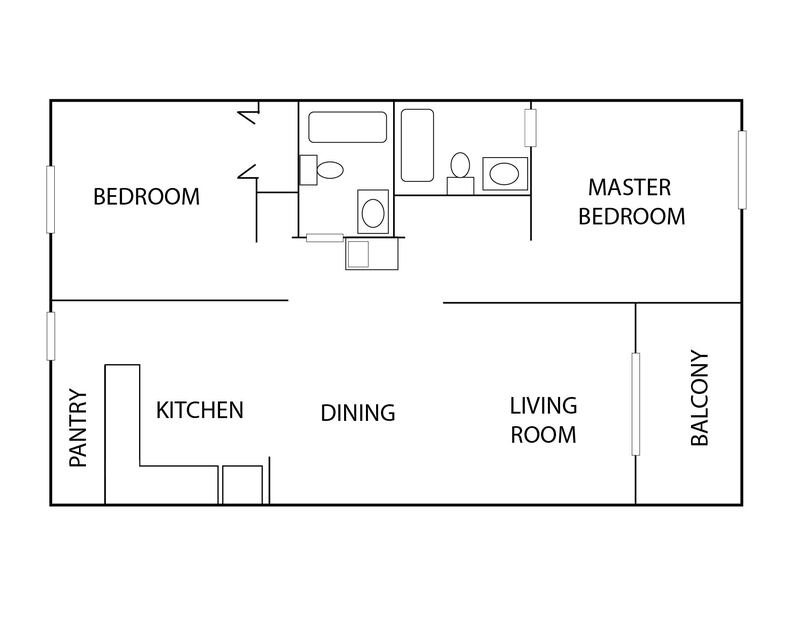 The good: The condo itself is decent (it's rated "good"). Easy to get to. Amenities are fine (pool, dishwasher, microwave, etc.). Two bathrooms is a plus. Mattresses on all beds are brand-new, dressers are clean. Plenty of dishes and cooking utensils. We booked this condo because it has a stocked bookshelf, by the way. Decent book selection for beach reading. The best: This condo is a block from the beach -- access is simple through the public park across the street or along a path. If you have small children, the park is nice because there's a play area. The best part, however, is the shopping area and restaurants: Luke and Ollie's has awesome pizza and a very friendly staff, and Acme Low Country Kitchen has *the best* fried fish we've ever had -- it's crisp, melts in your mouth and is not at all greasy, as well as a great staff. There's also several other bars/restaurants, beach shops, and a Ben and Jerry's ice cream nearby. You can walk to the Harris Teeter grocery store, too, and if you're Methodist (we're not), there's a church also within walking distance. (We drove to Sullivan's Island, attended Stella Maris Catholic church, then visited Ft. Moultrie, across the street from the church). Needs attention: The condo could have been cleaner (back bathroom shower curtain needed replaced, balcony railing was green with mildew). It wouldn't hurt to leave bathroom cleaning supplies somewhere accessible to guests. Need regular size spoons. Couch could be updated. The queen bed is very soft (it's a mattress pad, I discovered when we stripped the sheets our last morning). The closet by the front door needs purged. The house was in good shape but could use some updated furniture in the living space. The layout worked well for our group and the stay was pleasant. This was our second time staying in this particular condo, and we had a great experience yet again. The property is clean and comfortable, and we enjoyed overlooking the pool....but from the 3rd floor. Patio - the furniture is WAY to big for that little patio, and it's incredible awkward to move the chair around. Lose the plant in the corner, and hang something outside on the patio wall that people can hang their wet towels and bathing suits from. Kitchen - PLEASE get a decent, non-stick, large skillet. Master bedroom - The mattress pad cover needs changed - it's way to small for the mattress. Living Room - lose the VCR and get a DVD player! Overall the stay was good. I had rented in the same complex previously without any issues. On this trip there were a few challenges but the company responded quickly to the items I identified. The location of the realty office was very close to our condo . The room was clean and spacious , and a great value compared to surrounding properties . One complaint was the sofa sleeper . It was broken and slanted , very uncomfortable , and was dirty when we opened it . There was sand and popcorn through it . Other than that it was a wonderful stay ! Property Okay, Bed is Terrible! We stayed in Oceanside Villas, Unit 311C. The unit was okay, the kitchen was adequate and the living room furniture was worn and not very comfortable but it was only for a three day stay and we were out doing things most of the day. The queen bed was uncomfortable and shook every time someone moved, so don't plan on a restful night sleep. The hot water heater couldn't keep up with both showers going and was inconsistent other times. Also, we called before booking to see if the pool was heated and we were told it wasn't. They forgot to mention that it wasn't even open! The location is great, beach just across the street and within walking distance to some restaurants and shops. Thank you for sharing your feedback, especially concerning the bed mattress, we will look into replacing that this year, possibly before summer so this isn't an issue for future guests. The owners recently (in last 6 months) did a full condo paint, replaced all bedding & both bathrooms underwent renovation work, so please know we are working our hardest to maintain a delightful beach condo experience for our guests. Once again, we truly appreciate your feedback so we know what improvements we can continue to work on into the future of 2015-2016.